LCVs increase weight per mile, and reduce greenhouse gas emissions. The Long Combination Vehicle (LCV) network continues to expand in Canada with the recent government program expansion in Ontario at the beginning of the year. This allows more LCVs to be on the road and helps us to reduce our carbon footprint even more! In 2016, Bison LCV's drove 21 per cent of our more than 144,000,000 total miles, and the expansion means we can have even more LCVs on the road. Bison Transport takes sustainability seriously and we use creativity and innovation to drive a sustainable business. We invest in the growth of our people, our business, and our communities, and embrace our responsibility to conserve the environment. In 2016, our environmental sustainability efforts were recognized in a big way when we were awarded a 2016 SmartWay Excellence Award. One way we can reduce our impact on the environment is finding ways we can reduce harmful GHG emissions from both fuel consumption and engines. We have even included sustainability into our core values. We decrease Greenhouse Gas (GHG) emissions by increasing our weight per mile – and this can be done by using Long Combination Vehicles (LCVs), also called Turnpike Doubles. LCVs consist of a tractor and two 53' trailers providing more capacity to customers and an environmentally friendly transport solution. Using LCVs reduces our carbon footprint and emit less GHGs, which include methane, chlorofluorocarbons, and carbon dioxide. At Bison, we lead the industry in the use of Turnpike Doubles. In addition to the ability to provide our customers with faster transit times, being a safer mode of transportation, and reducing costs for our customers, our LCV division has reduced over 50 million tons of greenhouse gas emissions since its inception. Did you know that LCVs use 30% less fuel than pulling a single 53' trailer? 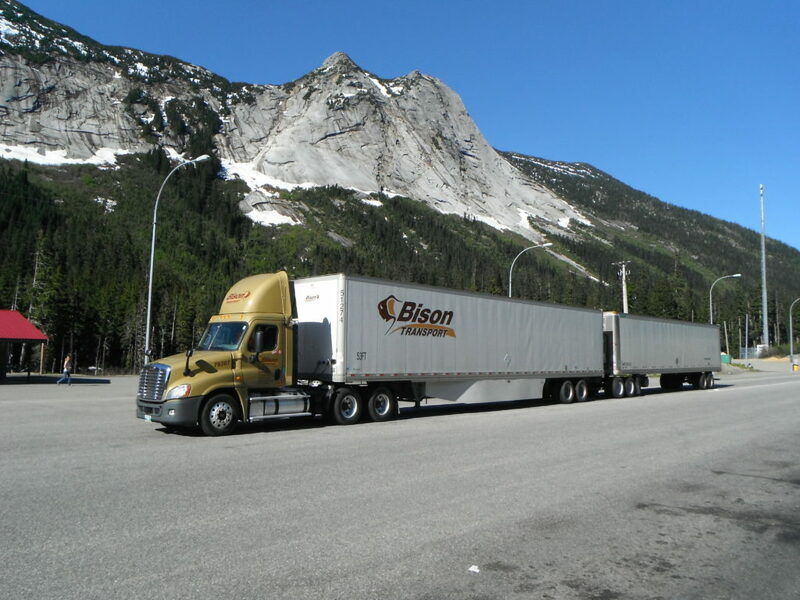 Bison has conducted studies that show our LCVs combine technology and efficiency to reduce our GHG emissions by 40%. Wonder what a 40% reduction looks like? We have created a calculator to help you visualize it! If you enter your shipment mileage, our calculator tallies how shipping with Bison’s LCV network will help you reduce your company’s carbon footprint. This is part two of a five-part series. Read about our SmartWay award here. Stay tuned for part three! To learn more about how Bison’s environmentally sustainable practices can benefit your business, and to inquire about our shipping services, click below to contact us today!